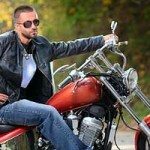 When a potential client first contacts me to represent them in motorcycle accident cases as their Pennsylvania motorcycle accident lawyer, after they describe how their motorcycle accident occurred, I ask them about their insurance policy. The typical response I get is… “I have full coverage”!, confident that this means that they are fully covered for any loss suffered. •	How much liability coverage do you have? •	Do you have Comprehensive and Collision coverage? •	Do you have uninsured/underinsured coverage on your policy and if so, in what amounts? 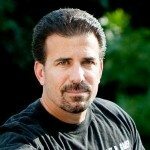 Most clients are unable to answer these questions and often are extremely disappointed to learn that although they thought they had full protection, what they have is State minimum coverage in motorcycle personal injury insurance, which provides little or no protection to them, contrary to what they may have been led to believe. I bring this up now, before an accident, because I want all of you to look to see what type of coverage you have, rather than relying upon your understanding that you may be “fully covered”. What most believe is “full coverage” and the reality of being fully covered, are worlds apart. Being “fully insured” means your insurance policy should provide not only liability coverage, but also collision, comprehensive, uninsured and underinsured benefits and in some cases, medical coverage for your New Jersey or Pennsylvania motorcycle accident. I also want to clarify a prevailing myth, which is; if you are involved in a motorcycle accident and it is the other persons fault, their insurance company will automatically pay for the damage to your bike and all of your medical bills. THIS COULD NOT BE FURTHER FROM THE TRUTH! No matter how the motorcycle accident occurred, the other insurance company does not owe you a duty of care, as you are not their insured. 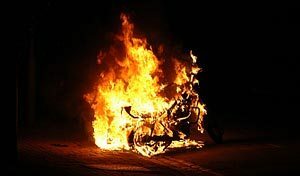 Ultimately, if motorcycle accident lawyers get insurance companies to agree that their customer is at fault, they will usually pay for the damage to your cycle within a few weeks. However, they will not pay for your medical bills until your motorcycle lawyer for medical bills has helped get the entire matter resolved. Therefore, if you do not have health insurance or medical benefits on your policy, your bills will be outstanding and quickly become delinquent. This is the concept generally referred to as “no-fault”, which means that no matter who is at fault, we are all initially responsible for our own medical bills. I urge everyone to stop relying upon bad advice, or your own misunderstanding that your coverage is sufficient and take five minutes to examine your policy to make certain that you are truly “fully insured”. Contact Pennsylvania motorcycle accident attorney Lee D. Gaber, if you would like additional information on this topic, or any other PA or NJ motorcycle issue, I can always be reached at 888-292-5352 (888-CYCLE-LAW) .